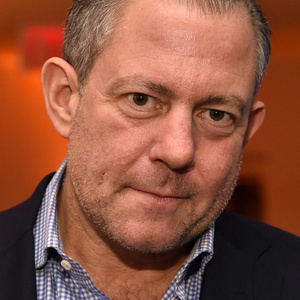 Harry Dubin net worth: Harry Dubin is a New York City-based real estate investor who has a net worth of $15 million. Harry Dubin popped up on the celebrity radar thanks to his ex-wife's appearances on The Real Housewives of New York City. Harry Dubin and Aviva Drescher were married but eventually divorced in 2005. They have one child together named Harrison. It was revealed on a previous season that Harry Dubin was a bit of a womanizer. Turns out that Harry had a relationship many years ago with both Sonja Morgan and Luann de Lesseps. Aviva brushed it off for the most part, commenting about Dubin's love of partying. In an episode during Aviva's first series of The Real Housewives of New York City, she took her son Harrison to a studio to meet Dubin who was creating an App called "Poopy the Pig." Poopy the Pig is a cartoon pig that wiggles it's buns around and Dubin was proudly explaining the process of creating the app to his son. In 2010, Harry Dubin also made headlines for failing to pay child support to Aviva to the point where she was forced to involve the police. In the most recent season of The Real Housewives of New York City, Harry Dubin has been mentioned again amongst the ladies for his relationship with Sonja Morgan and his womanizing past.